There is something new at APOCD Scrapbooking kits that I just had to share. 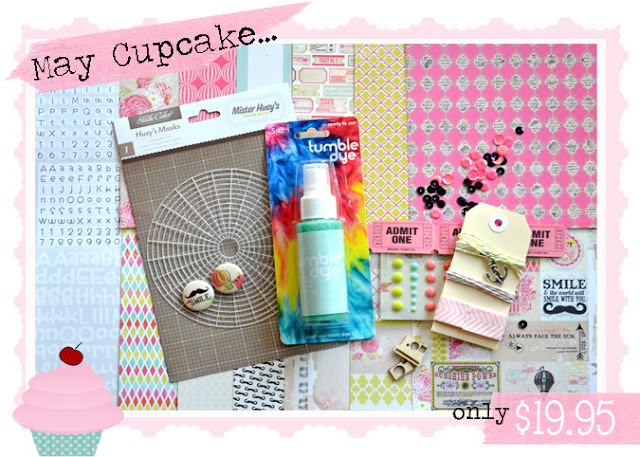 I am pleased to announce the newest addition to the APOCD Store....CUPCAKE KITS! These kits have all the great flavours as our usual Main Cake Kits, but are bite sized pieces of perfection! Yum! How are these different to all the mini kits out on the market you ask? Well, scrappers now tend to love to get messy and create their own recipes. That's where APOCD Cupcake kits come in. These kits are packed with a range of 6x6 papers and other coordinating embellishments. But, what I love about these kits is that they will contain either a mask, stamp or mists, paints, inks, pens, etc. You get the idea! It allows you to add that texture and dimension that you love to a page. All packaged up, coordinated beautifully, waiting and ready just for you! If you love Project Life, these could work for you too. As you can see from the image, this kit is beautiful. It contains 12 6x6 papers from the new My Minds Eye 'Find your Wings and Fly - Up and Away' line, 1/2 a pack of coordinating enamel dots, a Doodlebug Designs Alpha sheet that contains three different alpha sets, A Studio Calico Mask, Sei Mint Tumble Dye mist, Bella Blvd Washi tape, 2 Exclusive APOCD Flair especially made to coordinate with the kit and a selection of veneers, tickets and sequins. We will also have 'Cake Bases' available in store which is card stock, available in packs or in individual sheets. 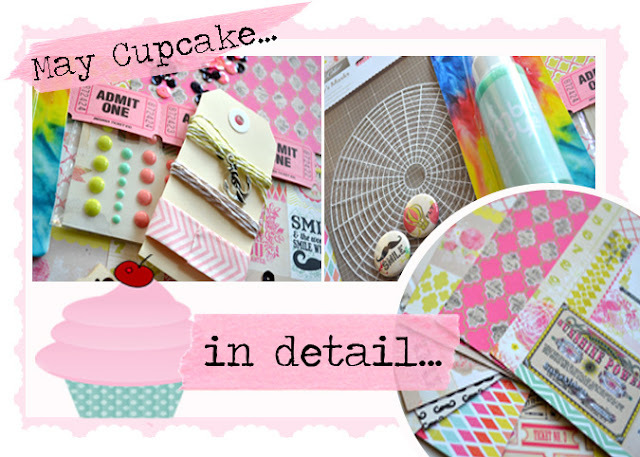 I CANNOT WAIT to share who I have Guest Designing with our first ever Cupcake kit!!!! So excited as this lady is just oozing creativity. Sale of the kits will be this coming Monday with our Main Cake Kit and Cherry Flair. They are limited in number. Subscriptions are not currently offered and this kit will be sold on a first come, first serve basis for the month of May. There is a possibility of beginning subscriptions from June onwards for either a 3, 6, or 12 month duration. Email me at raquel@apieceofcakedesigns.com.au if you are interested. 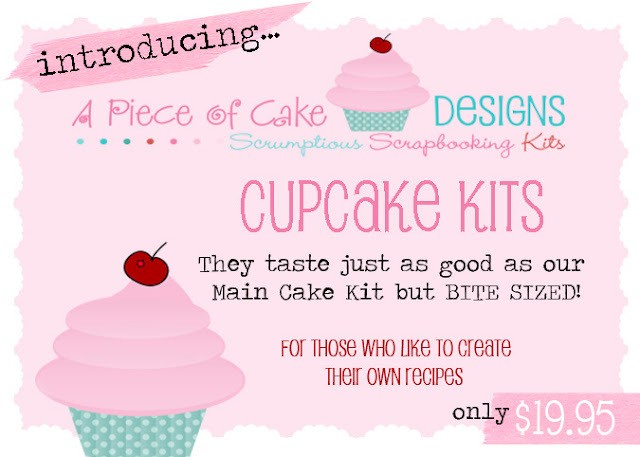 Would love to hear what you think of our first ever Cupcake Kit.